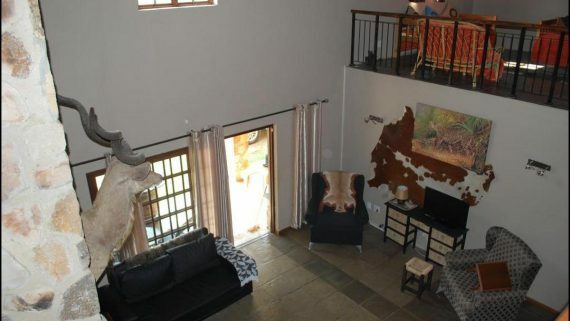 Stone-Fly Guesthouse is situated in the small town of Dullstroom in Mpumalanga. 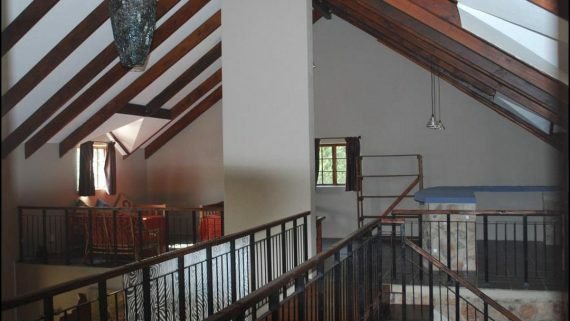 It offers comfortable accommodation in 4 spacious self-catering rooms, each with an en-suite bathroom and either a kitchenette or access to a fully equipped kitchen. Room 2 is a wheelchair-friendly room while Room 4 is suitable for families. 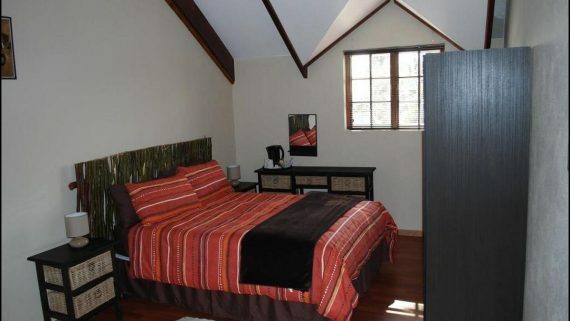 Room 3 and Room 4 can be booked together for a larger group of guests. 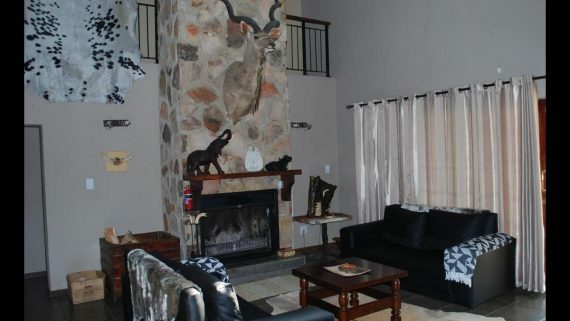 The house has a central dining area and lounge with a TV that has selected DStv channels and a fireplace. 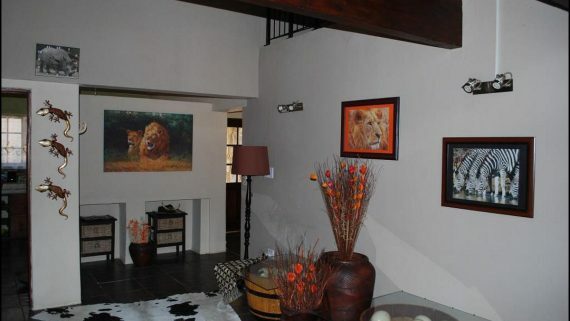 Outside, guests have access to an outdoor patio with built-in braai facilities and a seating area where guests can relax. Secure parking is provided and the house is fitted with an alarm system and 24-hour armed response. The town of Dullstroom is perched high on the slopes of the Steenkampsberg mountain range and is a natural paradise, offering exceptional panoramas of mountains and wildflowers. This makes for a wide and varied birdlife in the area. 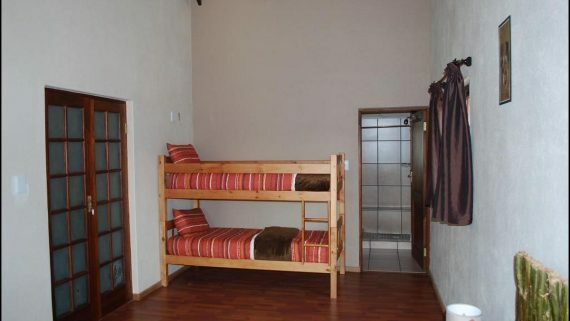 Dullstroom is well-known for its great trout streams and scenic fishing spots. The surrounding area also offers the opportunity for day trips to Sabie, Graskop, and Pilgrims Rest.